Travel north from Ixtapa/Zihuatanejo on Mexico’s Pacific coast – to the central coastal area of the country- and you’ll discover the Mexican Riviera. Miles upon miles of palm trees line the land just inside the coastal shores. Jungle covered mountains plunge into the Pacific coast, or fall short to reveal golden sand beaches, waiting to be discovered and walked upon. This area along the coast of the Mexican Riviera is host to 3 main costal resort towns – Manzanillo, Puerto Vallarta and Mazatlan – as well as the exclusive and luxurious resorts along the Costalegre between Puerto Vallarta and Manzanillo. 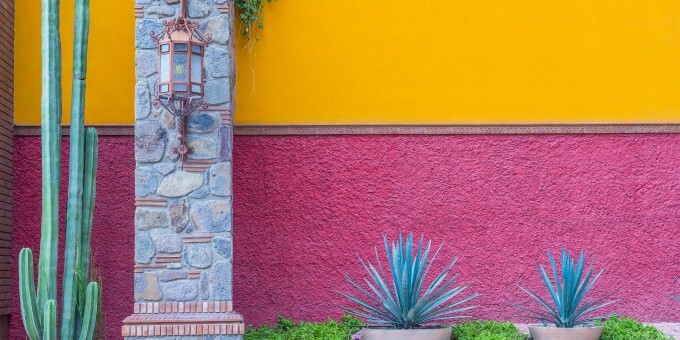 The region is extremely accessible – by air and by road – and has become a favorite holiday destination for foreigners and Mexicans alike… read on and discover why. Mazatlan is one of the young Mexican party towns of the Pacific coast, but it is also one of the most economic of Mexico’s resorts, balancing convenience and comfort with economy and good value. Mazatlan is the northern-most of the main resorts on Mexican Riviera, and is also one of the busiest commercial shipping ports on the Pacific. Mazatlan is the shrimp capital of the world with over 40,000 tones of shrimp shipped and processed from here every year. The coastal resort is attracting more and more travelers to its shores every year, as word-of-mouth spreads about its charms and attractions. People are coming here with their families, and those travelers looking for good value in return for their hard-earned holiday money are also discovering that Mazatlan offers a great alternative to the more commercialized resorts in Mexico. Mazatlan has an excellent assortment of beaches – some for surfing, others for swimming. Because some of the beaches face the open Pacific, the waves are strong, big and pounding – no good for swimming. Ask locally for details about which beaches are suitable for safe, casual swimming in Mazatlan. A wide variety of water sports can be enjoyed in Mazatlan, including diving, snorkeling. You can also rent water craft to have fun on the water from various rental agencies – see the Mexperience Travel Center for details. Mazatlan is host to some good Resort Spas. For more information about Spas, and how to benefit from a magnificent spa experience, connect to the Mexperience guide to Spas in Mexico. Local Boat Tours are a great way to see remote places otherwise not accessible or difficult to get to. Your tour can include stops at good places for swimming, snorkeling and diving, give you access to remote and secluded beaches, or if you just want to relax – take a sunset cruise and watch the sun melt into the Pacific Ocean in style! Mazatlan is one of Mexico’s top destinations for Sports Fishing! If you want to fish for Bass, Mazatlan is THE place in Mexico to go. Read the Mexperience guide to Sports Fishing in Mexico and discover just what a fantastic day out a sports fishing experience can be on your next visit to Mexico! Mazatlan is a city in its own right, and there is plenty to see and do away from the waterfront. Take time wander around Mazatlan and see the historic colonial town with its buildings, plazas and architecture from years gone by. There are a couple of museums to visit, a theatre, the main plaza and of course the city’s Cathedral. Consider taking a local tour; either around the city, or a little way of out Mazatlan, where you can experience a Mountain and / or Jungle tour. See the Mexperience Travel Center for details of these. You can rent mountain bikes, go horseback riding on the beach and go bird watching locally. All these are among the opportunities of Eco tours you can experience around Mazatlan. Also See: Nature and Adventure Experiences in Mexico. Not only is the climate here idea for Golf, Mazatlan offers some of the best rates for top-quality golf in Mexico! There are several good courses, some are newer, others are well established, but all are excellent quality. Mazatlan has become a popular location for foreigners to invest and retire in Mexico. This is no surprise as, besides being exceptionally well connected and within easy access of the USA and Europe, Mazatlan also offers a wonderful climate, world-class facilities and amenities, an authentic Mexican atmosphere and low living costs. Connect to the Mexico Real Estate Guides for more information about buying real estate in Mexico. 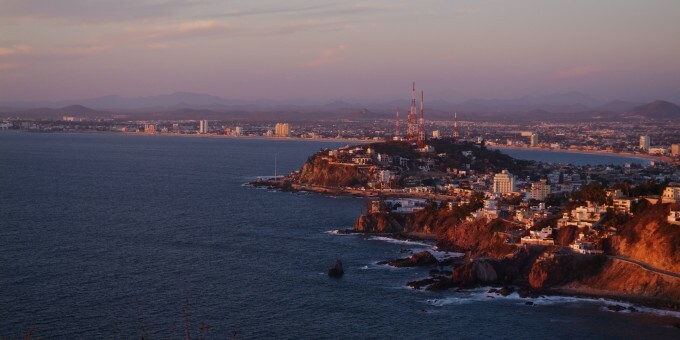 By Air – You can fly to Mazatlan from the United States and and other points in Mexico primarily Mexico City. Flights to Mazatlan are relatively limited in comparison to other Mexican resorts, which is probably what keeps the resort quieter and better value for money. The airport is about 17 miles (27 km) from the city and hotel zones. Ground transportation is available – buy your tickets from the booth inside the airport terminal building. For detailed information about flights and flying, see the Mexperience guide to Air Travel in Mexico. Airport Transfers: If you’re arriving in Mexico by airplane, you can book your airport transfer in advance. Airport Transfer services are available from all of Mexico’s key airports and offer the choice of either a Standard or VIP service level. Standard shuttles will transport up to ten people and their baggage in a modern and comfortable suburban van to/from local hotels; the VIP service provides transportation exclusively for your party, taking you and your belongings directly to/from your local hotel. Connect to the Mexperience Travel Center for details and to reserve your Airport Transfer. By Bus – You can travel to Mazatlan on a luxury bus from Mexico City and Guadalajara. Travel times on the bus are about 20 hours and 10 hours respectively. For detailed information about bus transportation read the Mexperience guide to Bus Travel in Mexico. By Car – Driving to Mazatlan from the United States will take about 10 hours. Use the toll Highway 15. From Puerto Vallarta, the road is mountainous and windy. See additional information about Driving in Mexico and Mexico’s Toll Roads on Mexperience. Car Rental – To explore Mexico’s provincial towns and cities—including its beach locations and the scenery and attractions near them—consider renting a car for your visit (if staying in town, local transport should be sufficient). Having your own car will give you more flexibility than using public transport options and, in some cases, offer you access to places which are otherwise difficult to visit without the use of a car. Read our guide to Car Rental in Mexico to learn what you need to know about car rental in Mexico and connect to the Mexperience Travel Center to reserve your Rental Car. By Ferry – If you’re going to visit La Paz, you can take a ferry across to Mazatlan from there. The ferry runs daily and you can take your car, if you have one. Note that you can only travel as a foot passenger on some days. Different levels of service are available, including private cabins. Prices depend on your class of service and size of car. Check the Ferry Company’s web site at: http://www.ferrytmc.com/ for details of routes, schedules, prices and contact details. Mardi Gras in Mazatlan: During the week before lent, Mazatlan celebrates its Mardi Gras – or carnival. This is a wild, fun week-long party that builds up to a massive climax on the night of Shrove Tuesday, just before Ash Wednesday when lent begins. Expect the carnival to be full of music, dancers, mariachis, street vendors, all night parties, and more! If you want to be in Mazatlan during this time, be sure you book your transport and accommodation well ahead of time! Exchanging Currency: Banks with ATM machines are found throughout the downtown area of Mazatlan. During business hours, they and the Casas de Cambio will buy traveler’s checks and cash from you as well. For detailed information about exchanging and managing your money, read the Mexperience guide to Money in Mexico. Booking Ahead for Mazatlan: During the busiest times, which are Easter, the Carnival before lent, the hotels in Mazatlan are packed. If you want to go to Mazatlan at these times, you must book ahead of time, and if you want the best type of accommodation – way in advance! Locally Hosted Parties – Many of the Restaurants host their own parties which include dinner, dancing, a show and all drinks for a fixed fee. Ask at your hotel to find out what is happening locally. Nightclub Scene – Mazatlan provides excellent and varied night life for visitors. In fact, Night Clubs are a big part of the holiday scene in Mazatlan, and like their Acapulco and Puerto Vallarta counterparts, they don’t stop ’till the sun comes up! Some night clubs charge an all inclusive cover fee; some a smaller cover and drinks on top. Drinks are served all night – don’t even consider going to a nightclub before 11pm. Nightclubs keep going all morning and most people will start to leave between 5 and 7 am. Night Bars / Restaurants – All over Mazatlan there is a selection of local, national and international names in Late Night Entertainment. Mazatlan tends to offer the traditional “beach ready” selection of tourist knickknacks, including of course, a huge variety of “I’ve been to Mazatlan” type T-shirts. But not all shopping here boils down to tourist-trap fare, you can also buy some really good Mexican arts and crafts, paintings and jewelry. There is also a traditional market selling fresh shrimp in the open air, pottery and textiles: you may or may not end up buying much here, but don’t miss this market experience in Mazatlan! Mazatlan offers you year-round warmth, but it is cooler than Puerto Vallarta and Acapulco – for the fact that is is considerably further north (1,000 miles) of Acapulco. The rainy season is May to October, but as with most monsoon areas, rains tend to be fierce and brief in the late afternoon, leaving the evenings dry and cooled off. September brings the highest levels of humidity and sees the heaviest of the rains. During the winter months (Dec-Mar), evenings and early mornings can be cool, so pack a wool pullover if you’re thinking about traveling during those months.